Legal Technologies is the creator of Eviction Assistant, a cloud-based comprehensive case management system. 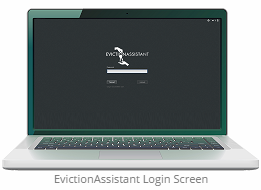 Eviction Assistant makes filing an eviction lawsuit as simple as answering a few questions about your property, your tenant(s), and the jurisdiction in which your property is located. Legal Technologies is also the creator of Process Server Assistant. Process Server Assistant grants your process server unique, limited access to the accurate tenant data in your EvictionAssistant database, eliminating case-killing errors with tenant names and addresses on your process server’s affidavits. Eviction Assistant and Process Server Assistant are integrated multiple property management and electronic filing software packages. EvictionAssistant was developed by a team comprised of a landlord and tenant attorney with over twenty (20) years of experience and well over 150,000 rent cases prosecuted, a landlord and tenant paralegal on the front lines of the battle between property managers, delinquent tenants, and the courts, and a software developer with over twenty five (25) years of development experience. EvictionAssistant links to CaseFile Xpress for DC bulk electronic filings. EvictionAssistant successfully submits electronic filings through Tyler Tech’s new electronic filings system interface. New Dashboard software launched to complement Classic version web portal. New Dashboard software radar screen to monitor important filing dates.